The R&S®RAMON software modules are used as core components in advanced radiomonitoring and radiolocation systems. The R&S®RAMON software modules are used as core components in advanced radiomonitoring and radiolocation systems. 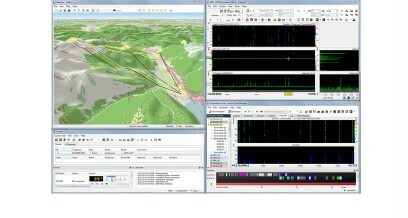 The R&S®RAMON software covers a broad scope of functions: It can be used to control the equipment connected to a computer, to store and analyze the data delivered by the equipment, to control and monitor the information flow in a networked system comprising multiple workstations or system sites, and to simplify routine tasks by translating them into fully automated sequences.